David Wiseman joined the British Army in 2006 and was commissioned from Sandhurst into The Yorkshire Regiment. 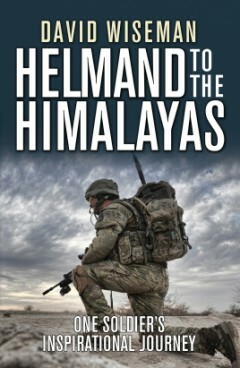 In 2009 he commanded a small team of British Soldiers embedded within Afghan Forces deep into the Nad E'Ali District of Central Helmand Province; it was here, during a highly kinetic engagement with the Taliban, that he suffered a gunshot wound to the chest. Following extensive surgery and months of rehab he joined a team of wounded soldiers who, together, took on Mount Everest. Medically discharged from the army in 2013, David continues his charitable work for other wounded personnel on a professional basis.